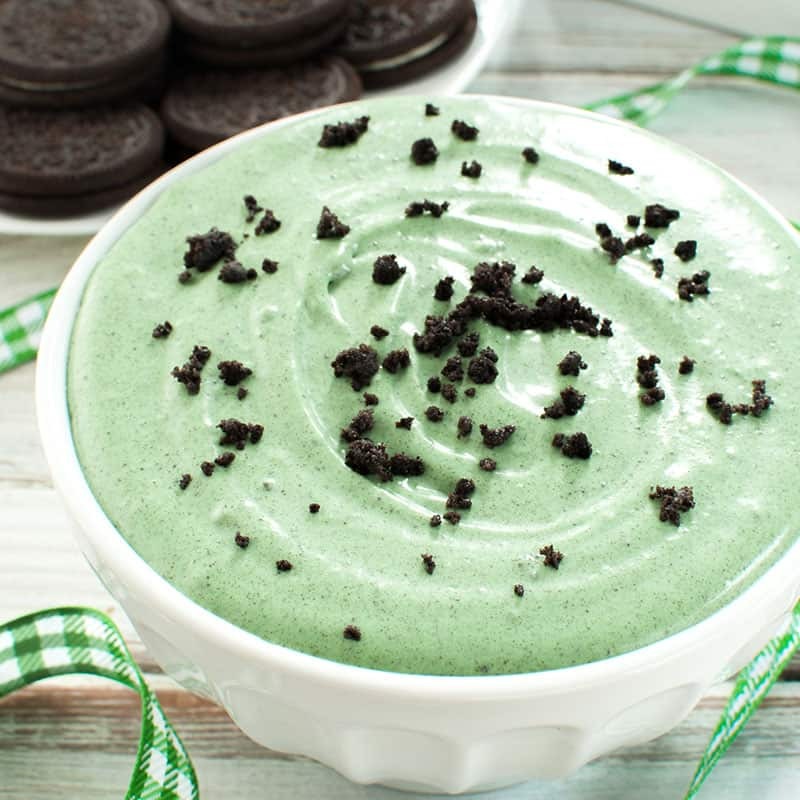 Cool, mint chocolate dip tastes just like grasshopper pie, but in an easy dip. This Grasshopper Pie Dip is perfect for a St. Patty’s day dessert. 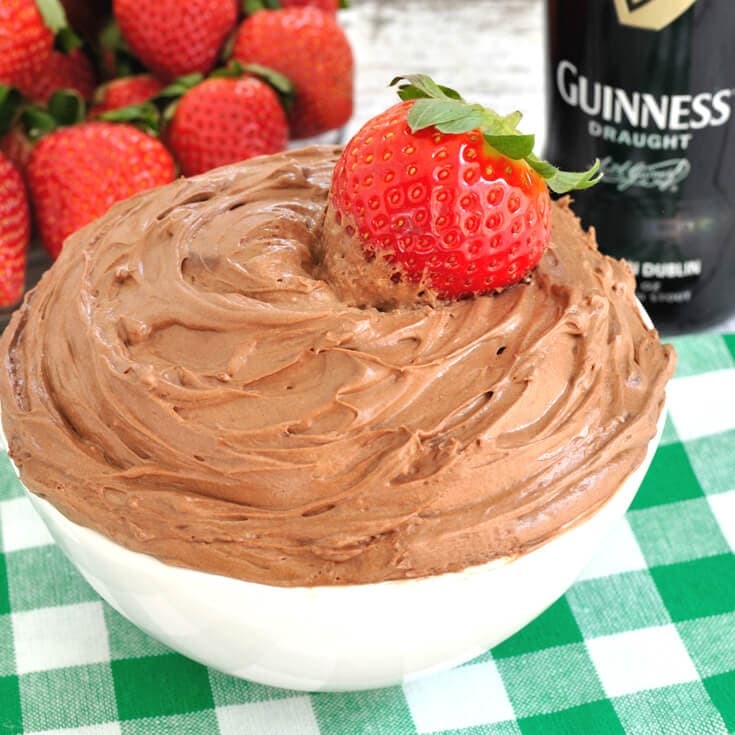 Creamy, fluffy Guinness Chocolate Stout Fruit Dip is made with Guinness stout beer and cocoa. Takes just a few minutes to whip together this easy fruit dip. Creamy and boozy cheese cake dip recipe featuring Baileys Irish Cream. 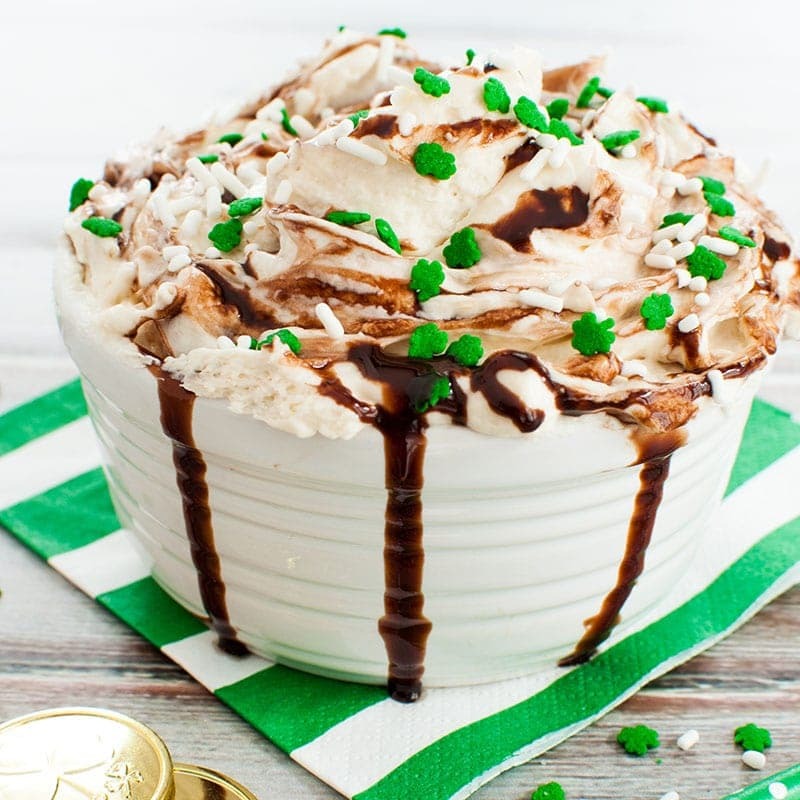 This Baileys Irish Cream dip is an easy and festive dessert for St. Patrick’s Day.